Travel vaccinations can be a daunting process; it is not quite as easy as it once was to head to your GP and obtain all of the necessary injections on the NHS. For even the most seasoned of travellers, the prospect of being vaccinated can be nerve-wracking: fortunately, the team at MASTA are well equipped to put you at ease, with their in-depth knowledge and warm, friendly approach to consultation. Occupying an iconic building on the corner of Silent Street and St Nicholas Street, Medical Advisory Service for Travellers Abroad MASTA has firmly established itself as the go-to experts for those who adore travelling. From its conception 35 years ago, MASTA now operates close to 200 private travel clinics across the UK. The travel clinic offers a wide range of services; including health consultations, vaccinations and antimalarial treatments, as well as a range of competitively priced travel-related products such a water bottles, first aid kits and mosquito nets available to purchase in clinic. I met with Clare Duchars in the Ipswich Clinic to experience their award winning travel health consultation. After deciding on my destinations (Thailand and Nigeria), Clare explored my personal health records; ensuring any vaccinations or treatment would not conflict with medication, or previous or existing health conditions. Once every detail of this had been taken, we discussed the destinations I intended to visit, and the related health advice for travelling there. I didn’t realise how tailored the advice needs to be, one size really doesn’t fit all so advice provided to friends or family on previous trips to the same destination, could be very different to yours. All the information discussed during the consultation is also sent to you via email – with an extensive bank of information and recommendations to consider, it can be a lot to digest, so having the opportunity to review it later is valued! It goes through a number of vaccinations that may be needed for your visit: either required or recommended, and the costs of each are explained. Even the things you hadn’t considered are covered here: for example, if a high-risk disease came up that was in the place you are due to visit, then under each section there will be a brief description on the symptoms and how to treat it if you think you have caught it. All the advice is updated regularly by the medical team at MASTA to ensure you have all the correct information before you arrive at your destination of choice. Vaccination recommendations are not compulsory, and you won’t feel pressured into receiving anything you don’t want to. You’re actually advised on what you don’t need as well as what you do need, as the information is so tailored. 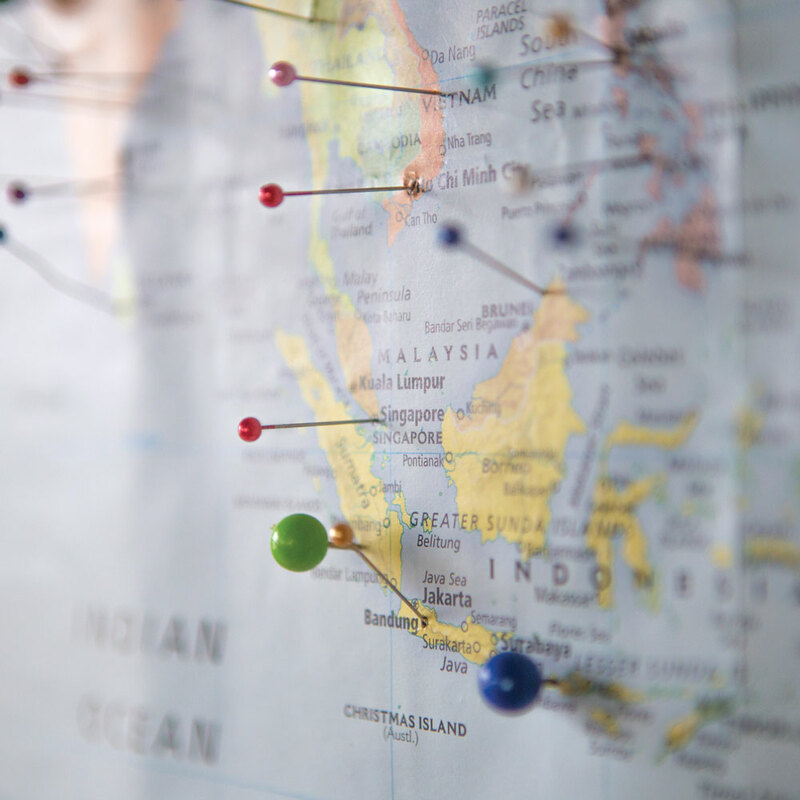 MASTA’s primary course of action is to ensure all clients are educated on the risks in the countries they are travelling to, and will advise them of the best possible steps to protect their health and safety while travelling. MASTA’s specialist travel health nurses come from a wide number of clinical settings such as GP surgeries, hospitals or private clinics; so you know you’re in safe hands. The clinic itself is very clean and the hygiene impeccable…exactly how you would expect to find a doctor’s office, but without the ‘clinical’ feel. MASTA vaccinate people from all walks of life across the UK wide clinic network. In Ipswich they vaccinate everyone from babies through to the elderly. Known for travel health, but respected for more, MASTA also offer vaccination services such as Chicken Pox, HPV, Meningitis B, Pneumonia and Shingles amongst others. Whether you’re expecting a baby, travelling as a group, travelling for work, or travelling short notice, MASTA can help. MASTA will also give you handy tips on safety whilst travelling – for common issues such as drinking local water, for example, it recommends purchasing a water bottle that has a specialist built in travel filter, which will allow you to drink from the tap in the destination country, rather than resorting to purchasing bottled mineral water – saving the environment from wasting plastic, too.